Naver is trying to finally crack the mobile business, which it admits has been its Achilles’ heel. Naver is the largest search engine and portal in the country. However, as people steadily shift away from PCs to access the Internet, Naver has been seeking new businesses in the mobile sector. Naver said Tuesday it is introducing a one-stop mobile shopping platform in the first half of this year that forecasts the needs of users and reflects them in search results. It hopes users will shop and pay for goods using its payment system Naver Pay. Social networking services such as Google and Facebook are also competing in the mobile shopping market to compete with Amazon, Alibaba and eBay. Naver said it will use an Shopping Trend Graph algorithm that shows relevant information about shopping in search result and the algorithm can predict the users’ interests. Around 34 percent of keywords in Naver searches are already shopping related. Mobile advertising has been expanding fast in South Korea on the back of robust user demand and a growth in mobile payment, with its size to soon eclipse the Internet-based market, data showed Monday. The percentage of mobile advertising expenses spent this year by local companies accounted for 38.4 percent of their total online advertising spending, according to an estimate by market researcher eMarketer Inc. The figure will likely jump to 54.4 percent next year, surpassing that for Internet advertising, the report said. The portion for mobile advertising had only stood at 20.1 percent in 2013, it added. 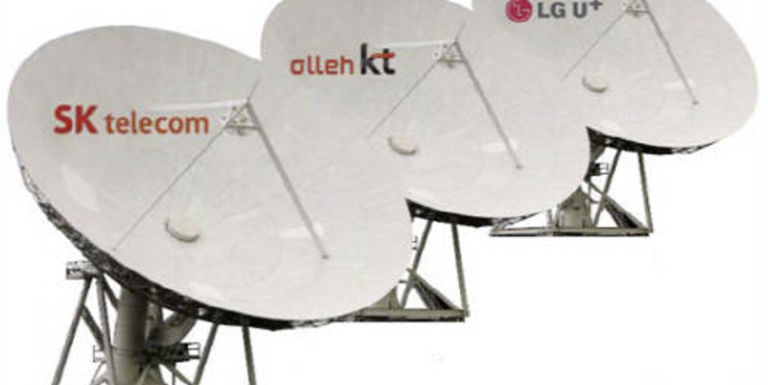 South Korea, where every eight out of 10 people use a smartphone, has seen a rapid growth in mobile advertising as people tend to consume media or gain information through their handset instead of the Web. A latest report by Digieco, a research center run by South Korea’s mobile carrier KT Corp., showed that Koreans spent 3 hours and 40 minutes daily using their smartphones in 2014, which is 2.5 times longer than the average time logged five years ago. Propped up by such steady demand, companies’ dependency on mobile advertising in South Korea is expected to hike to as high as 73.2 percent in 2018, the highest in the world, eMarketer said. Late last year, the Ministry of Health and Welfare released a final plan to start telemedicine in 2015. “Telemedicine” refers to the use of information technologies for the delivery of clinical care. Related ministries also announced a joint plan to allow hospitals to establish subsidiaries to engage in incidental businesses, mergers and acquisitions among medical institutions, and to lift the cap on the number of foreign patients. The Korea Medical Association (KMA), a lobby group of physicians, said last week that it would finalize a walkout plan on Jan. 11, saying it would not “tolerate” the government’s plan to allow telemedicine and for-profit hospital subsidiaries. A senior KMA member said Wednesday that the group would likely launch a nationwide walkout this month. But the group will decide later on whether to stage an all-out strike after observing the public sentiment, noting that the recent train workers’ walkout was not as welcomed by the public as past strikes. The KMA is one of the major groups of doctors who are concerned that the government’s recent plan could pave the way for the privatization of medical services and hurt their business. Data centers can consume up to 100 times more energy than a standard office building. Data center energy consumption doubled from 2000 to 2006, reaching more than 60 billion kilowatt hours per year. If the current usage and technology trends continue, the energy consumption of data centers in the US will reach 8% of the country’s total electric power consumption by 2020. 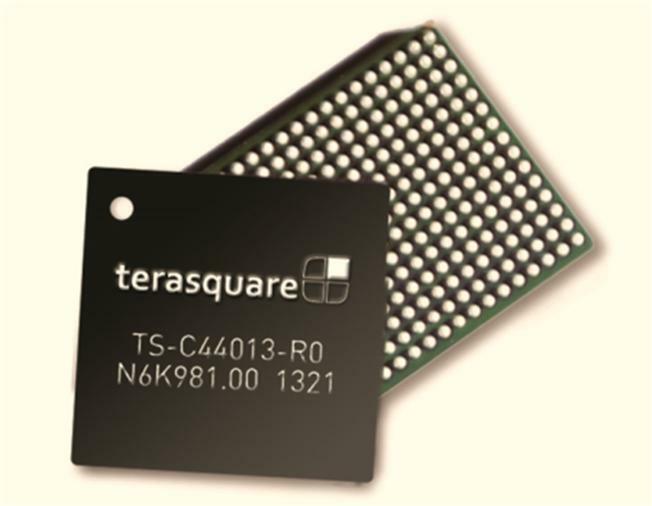 A research team at the Korea Advanced Institute of Science and Technology (KAIST) and Terasquare, Inc. (http://www.terasquare.co.kr), a spin-off company of the university, developed an extremely low-powered integrated circuit for Ethernet that consumes less than 0.75W of electricity but is able to send and receive data at the high speed of 100 gigabits per second (Gbps). 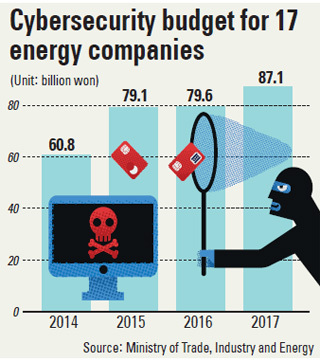 The research team, headed by Hyeon-Min Bae, assistant professor of electrical engineering at KAIST, claims that the new microchip uses only one-third of the electricity consumed by the currently installed chips at data centers, thereby helping the centers to save energy. Korea lags behind some other advanced countries in the openness of data collected by the government, according to an England-based nonprofit organization. A recent survey of 77 countries by the World Wide Web Foundation gave Korea 54.21 points out of 100 in its Open Data Barometer, which made it the 12th most transparent country among those surveyed. 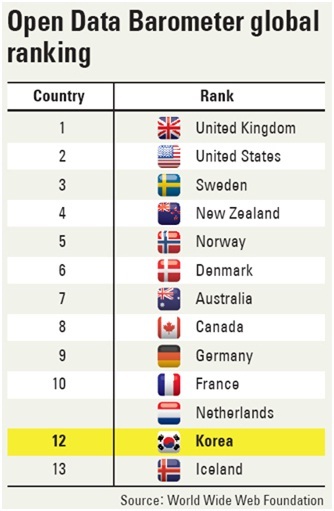 The United Kingdom topped the list at 100, followed by the United States at 93.38 points and Sweden at 85.75 points. It is the first time the organization, established by World Wide Web inventor Sir Tim Berners-Lee, conducted the survey. The scores, according to the organization, combine an assessment of the countries’ readiness regarding open data policy, as well as how well it implements the policy and how much of an impact it has on society.